In the year 200X, a demonic giant hole erupted in the middle of Japan and caused the sea split and the lands to bend. Black crystal or “B crystal” started appearing in various places and began to awaken strange powers in humans. “Special Students,” as those people were called, spreading fear and terror. Big Bang Beat – 1st Impression is a 2D doujin fighting game made by NRF, the same circle that made Marisa no Kagi PLUS! and Million KNights Vermillion. It was released on May 26, 2007 and based upon Daibanchou - Big Bang Age, an adult visual novel released by Alice Soft. Visually, Big Bang Beat holds up well enough with low-res sprites similar to classic Street Fighter series. The background music is all supplied by doujin rock group MintJam that provides excellent themes for every stage. In Comiket 80 (August 14, 2011) the sequel Big Bang Beat – Revolve was released by Frontier Aja. Big Bang Beat is a fighting game with six button control set: 3 attacks (light, medium, strong) and 3 setup (charge, super, enhance). The charge command is connected to P-Gauge (placed directly under the health bar). Charge is required to increase character’s damage, but sacrifice health and when it used leaves the player vulnerable to attack. P-Gauge also will continue filling in any empty space in the health bar, meaning that when critically wounded, a player can keep attacking for longer. The super command connected to B-Power Gauge and is filled by either attacking opponents or picking up stones (known as B Stones) dropped by attacked opponents. This command is used to execute several moves such as: Power Arts (or super moves), dash, counter attack, escape, air dash, and a very powefull move called Big Bang Break that can only be performed in character unique situations. Enhance basically is a taunt command. It’s unique for each character and the effects of the enhance vary wildly from character to character such as: give an overall damage boost, change the moveset completely, allowing for some very strange combos, etc. Any character can use an enhance three times per fight at maximum, except for Heita who can use it six times. Big Bang Beat has 10 playable characters, 5 secret characters and 2 unplayable characters. 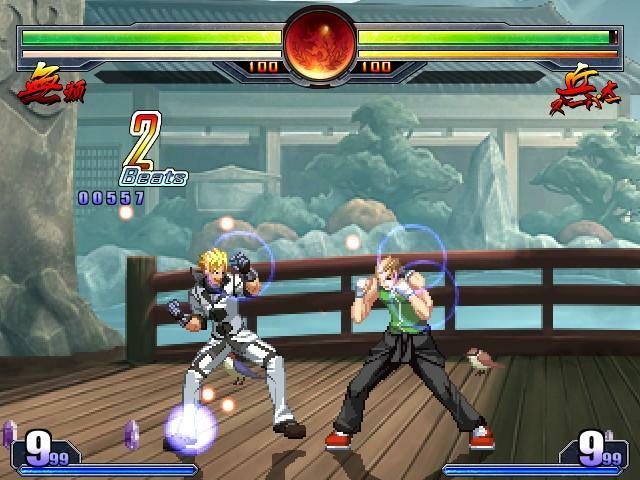 The secret characters can be selected by holding B-button while highlighting any character, then press any direction. 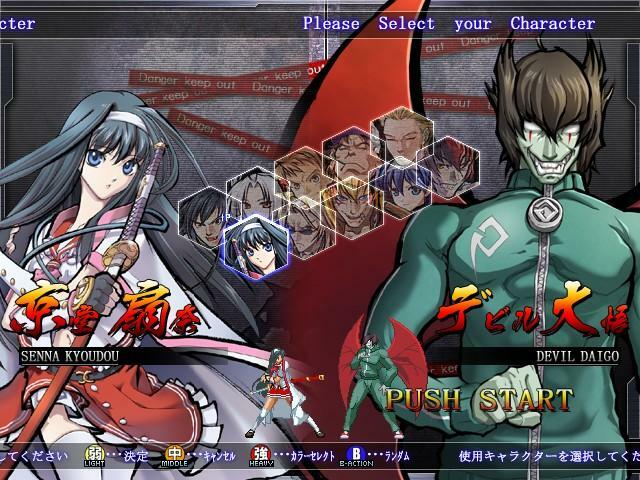 There are 2 unplayable characters: Super Heita, a powerfull form of Jinnai Heita with his “Ten Years Knuckle” technique, and Kamui the secret final boss that can only be fought if player meets certain conditions.